Commonwealth Games: David Calvert’s last shot at a fifth gold? Northern Ireland's most successful Commonwealth Games competitor David Calvert will be aiming for a fifth career gold medal in Gold Coast. But the 67-year-old knows his 11th Games could possibly be his last. The shooting events have not been included by the organisers of the 2022 Commonwealths, which are being held in Birmingham, and that is a huge disappointment to Calvert. "It seems a shame, when it is a sport in which we do very well in the United Kingdom, that we won't have it in Birmingham," said Calvert who competes in the full bore event. At Gold Coast, Calvert will be in the individual competition and also the pairs with 25-year-old Jack Alexander from Wiltshire, both firing live ammunition at targets up to 1000 yards away. Calvert, a three-times winner of the Queen's Prize at Bisley, first competed at the Commonwealth Games in Edmonton, Canada, in 1978 and since then has accumulated eight medals, four of them gold. "It is a sport you can be competitive in from early teens to 60s, and maybe 70s, who knows?" he said. "But when I started out, obviously I didn't think I would be competing at this level for so many decades. "Full bore shooting is very much a Commonwealth sport and these Games are our world championships. "Most of those who compete at the highest level are from Commonwealth countries." Shooting enthusiasts have not given up hope on their sport being included in the 2018 Games and have been lobbying the Birmingham organisers. 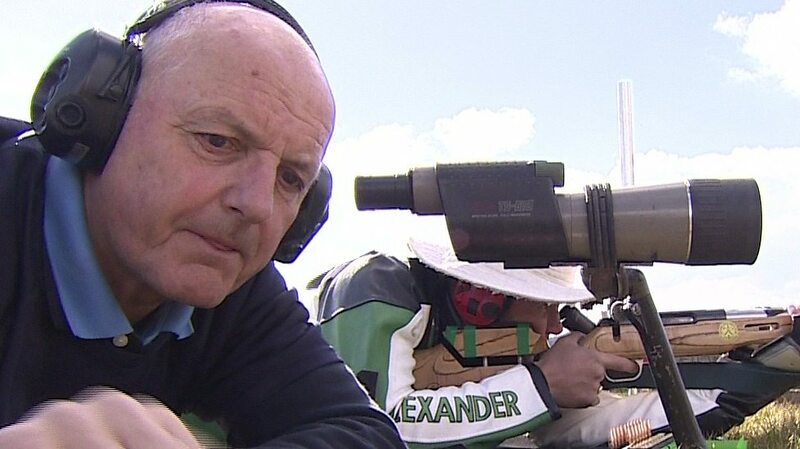 If that doesn't work, former RAF pilot Calvert is optimistic shooting will be reinstated for the 2026 competition. He will be in his mid-70s then, but hasn't ruled out still being in the medal hunt. "My ambition is to remain competitive and enjoy the sport for as long as possible," is his simple outlook.